R/V ANGARI served as a support vessel for the filming of Discovery Channel’s Shark Week special, Sharkwrecked. James Glancy is a passionate wildlife conservationist and keen adventure sportsman. James has spent his life outdoors in wild and hostile places. As a child, James was taught to dive and swim with sharks by a former US Navy Seal who inspired him to join the British military. 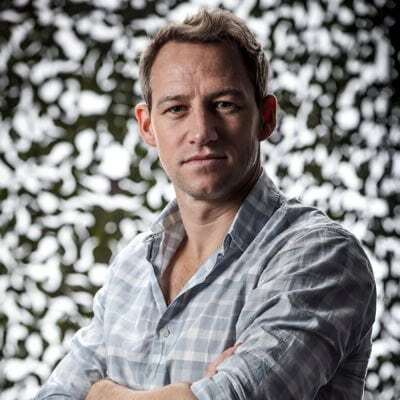 Since leaving the armed forces, James has returned to his childhood passion for wildlife and shark diving. To learn more about James, click here. 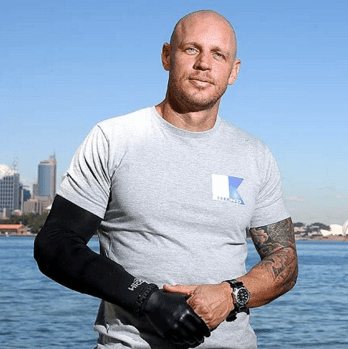 Paul de Gelder is an elite Australian Navy diver who lost two limbs in a horrific shark attack that changed his life. Since leaving the navy, he’s traveled around the world as a top motivational speaker, passionate environmentalist, adventurer, and mentor to school kids. He constantly inspires others to overcome obstacles and champions shark conservation. To learn more about Paul, click here.